Next to your dentist, your dental hygienist is a valuable asset to have by your side to enhance the health of your teeth and gums. As a trained professional, they have extensive knowledge regarding your oral health and how to best promote it. During your next appointment with your dentist in Herndon, take the opportunity to ask 5 important questions regarding your dental health. They have the inside scoop on the best ways to care for your teeth. Your dental hygienist knows all about clean teeth and what it takes to keep them that way. If you are concerned about your oral hygiene habits or how you can better improve your dental health, they will have the answers you need. They will take the time to discuss proper brushing and flossing methods as well as explain things that you should be avoiding to keep your smile healthy, like sugar and tobacco. Do I Have Bleeding Gums? It is estimated that half of adults in the United States have a form of gum disease, which is an infection that develops from bacteria found in tartar accumulations around the gum line. The first sign of it involves red, swollen, or bleeding gums. To ensure that the infection is detected early, be sure to ask your hygienist about the health of your gums. Which Dental Products Should I Use at Home? Your first line of defense against dental problems, like tooth decay, starts at home with your oral hygiene habits and the products that you use. Your hygienist can make recommendations based on your specific oral health needs, such as the use of a fluoride toothpaste if you are prone to cavities. With the right products at home, you can help to encourage a healthy smile. It is normal to have bad breath from time to time, but if you find it to be a reoccurring problem, your dental hygienist can offer advice to help combat the issue. Often, it is a result of high bacteria levels in the mouth. By improving your home oral hygiene habits, you can often stop the odor; however, it is also important to mention it to your dentist. Reoccurring bad breath can also be a sign of a larger problem, like tooth decay or gum disease. Your dentist will help to find the underlying cause to treat the problem. Every time you go to the dentist, it is important to make sure your dental chart is up-to-date regarding your medical history and medications that you are taking. Your dental hygienist can review the information with you. At your next dental appointment, take the time to speak with your dental hygienist. They can offer advice to help you reach and maintain your oral health goals for a beautiful smile. Since 2008, Premier Dental Care P.C. 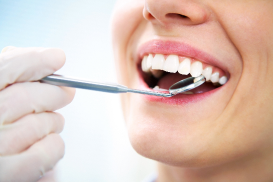 has been a trusted provider for high-quality dentistry in the community. As a general and cosmetic dentist in Herndon, our team can help you achieve your oral health goals. If you have not been to your dentist in the last 6 months, contact our office today to schedule your next cleaning and checkup.